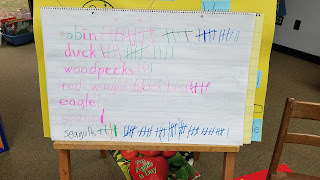 We wrote as many Xs as we could for exactly 60 seconds. 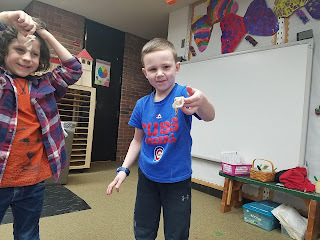 We were surprised at how long a minute is. 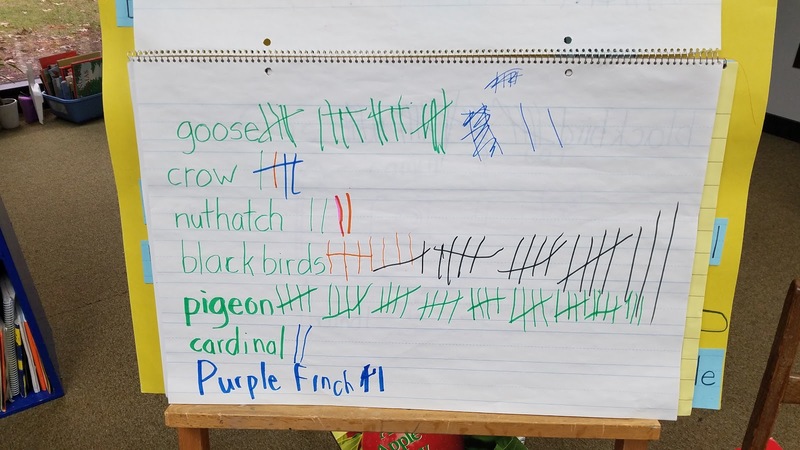 It seemed to last forever...43 Xs were the highest amount written. 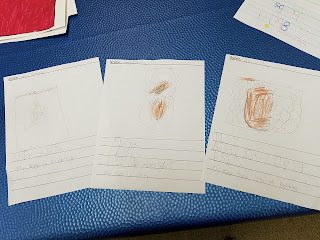 We took turns writing the words in our Daily Message. 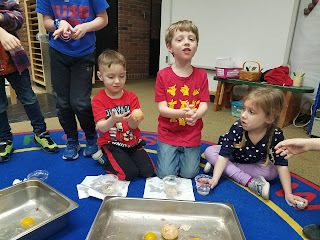 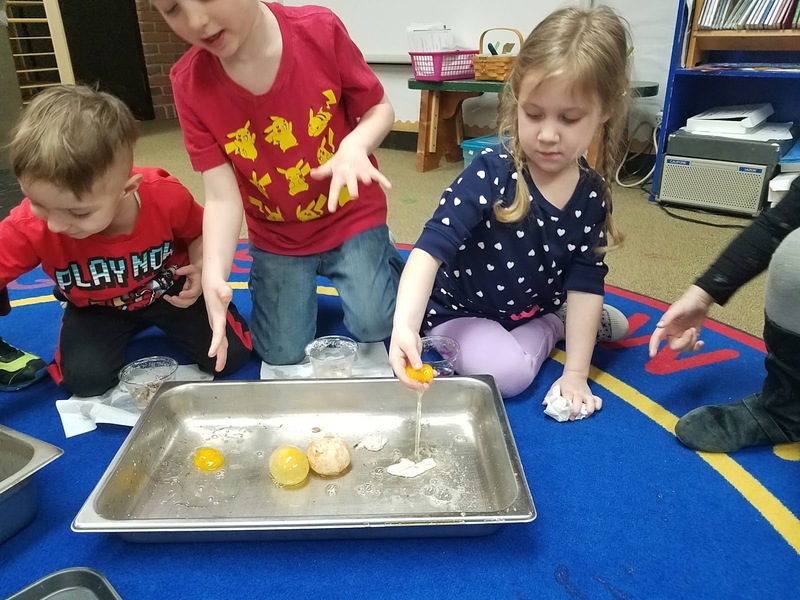 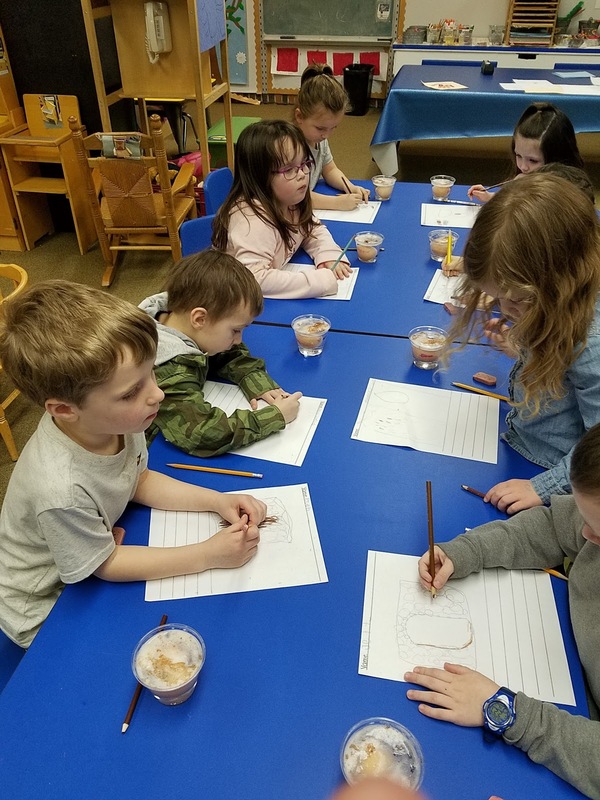 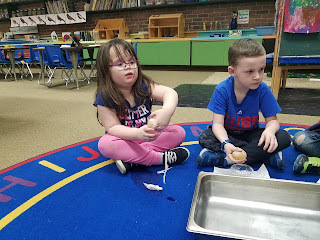 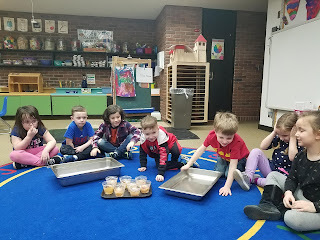 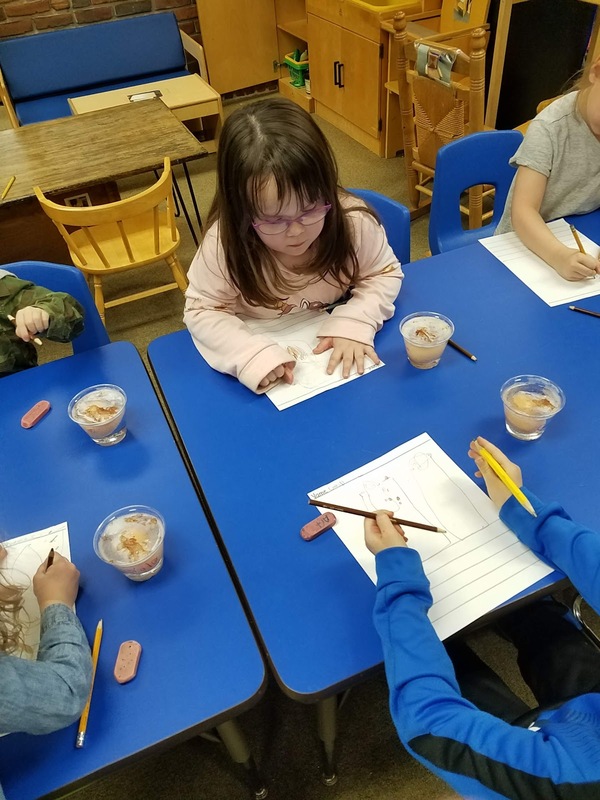 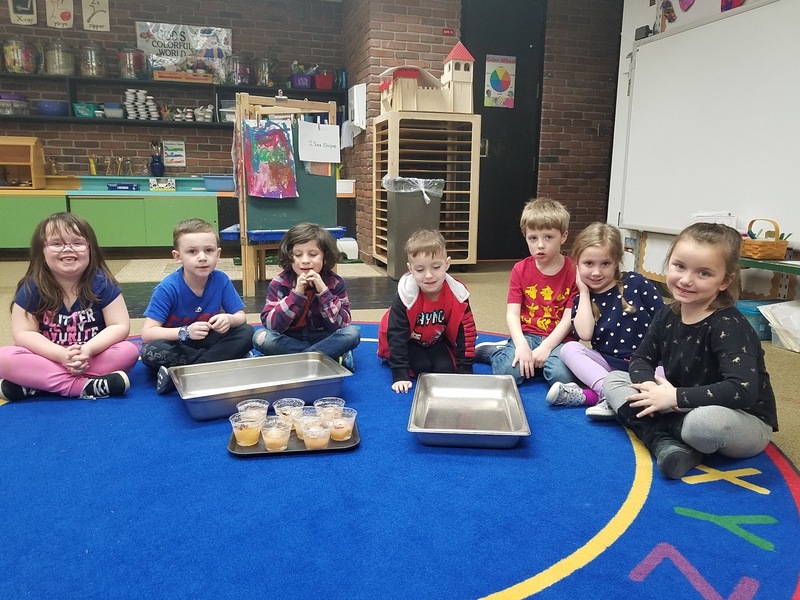 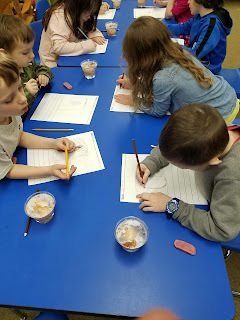 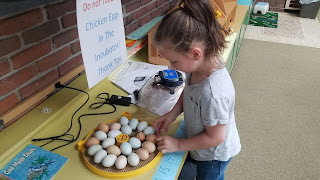 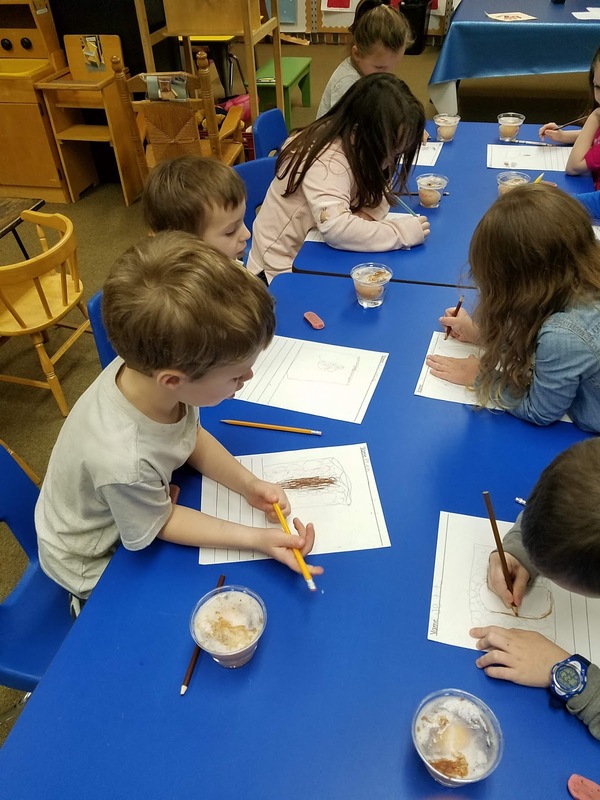 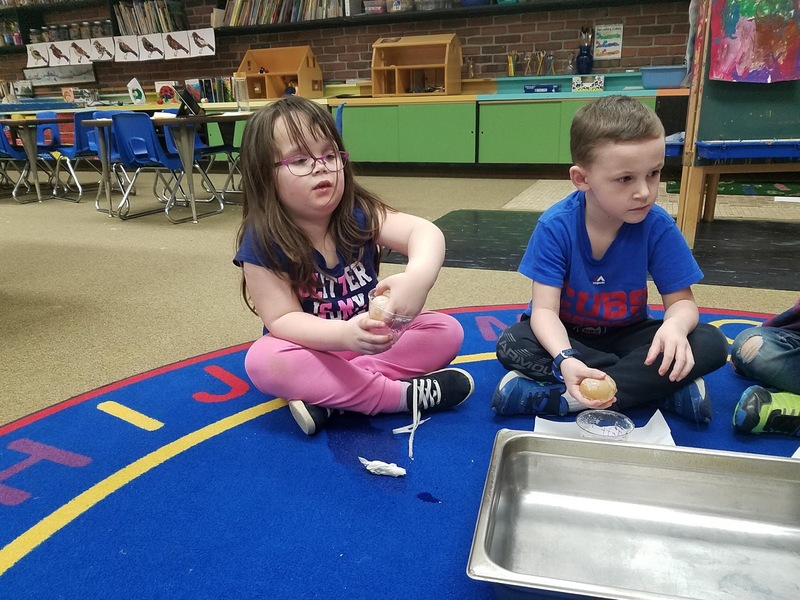 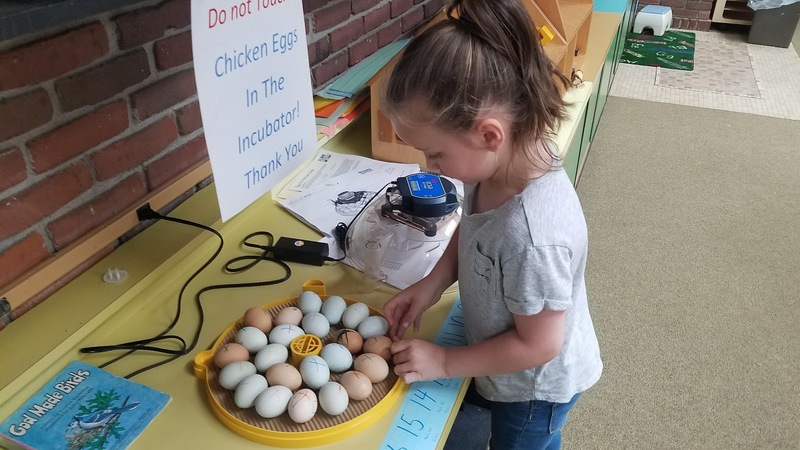 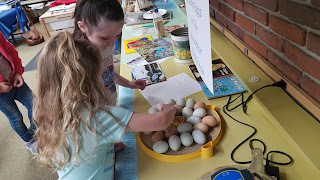 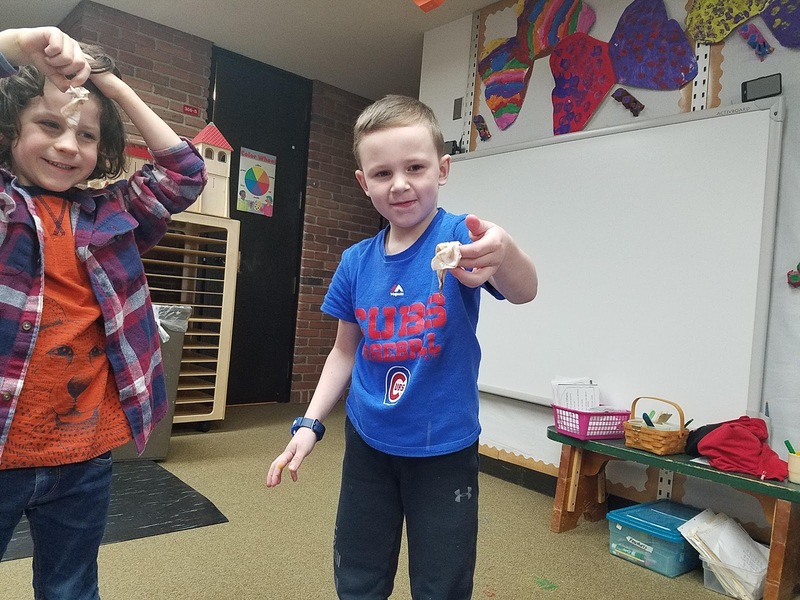 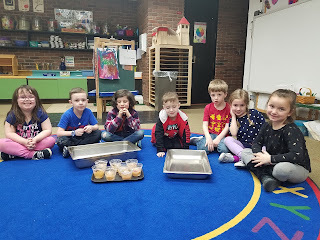 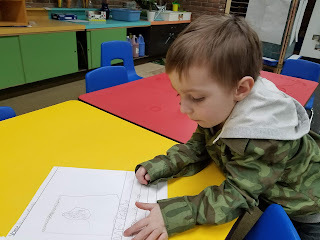 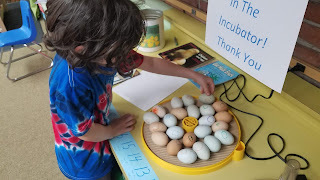 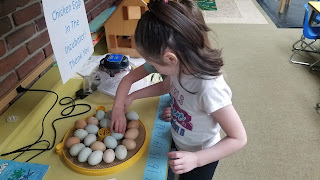 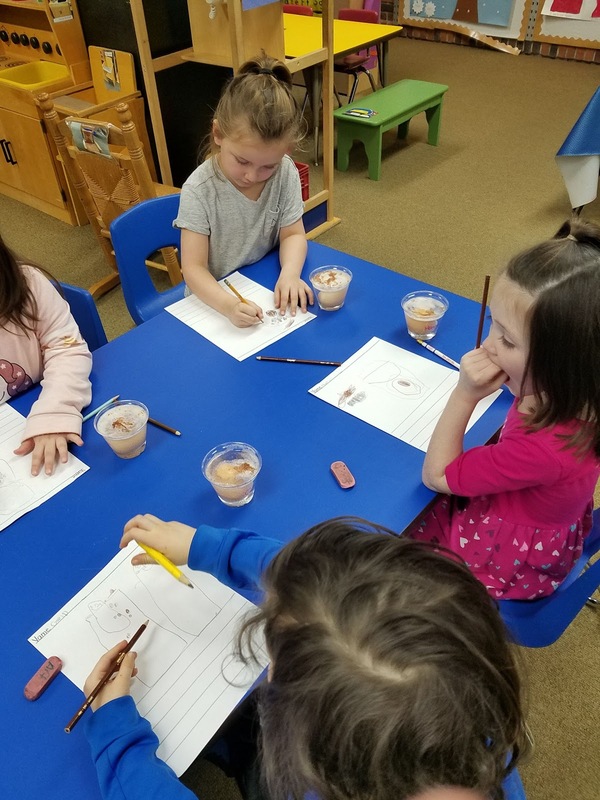 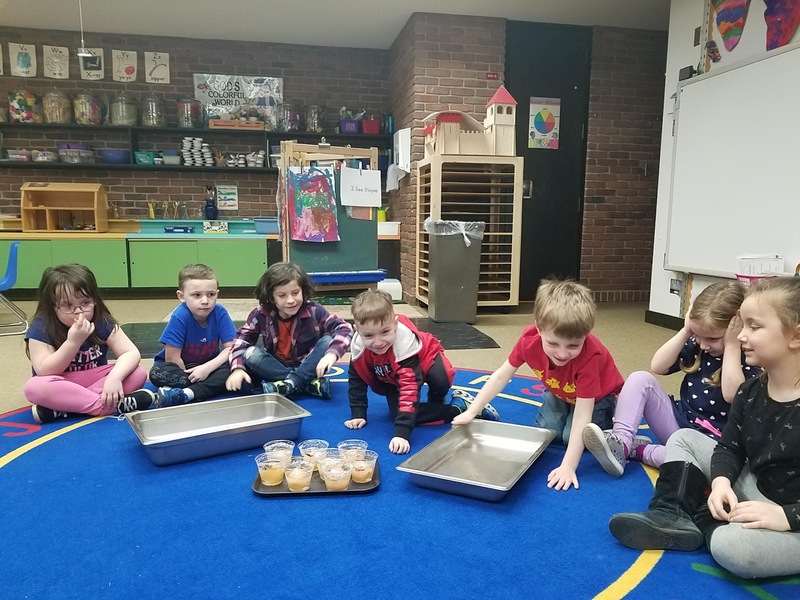 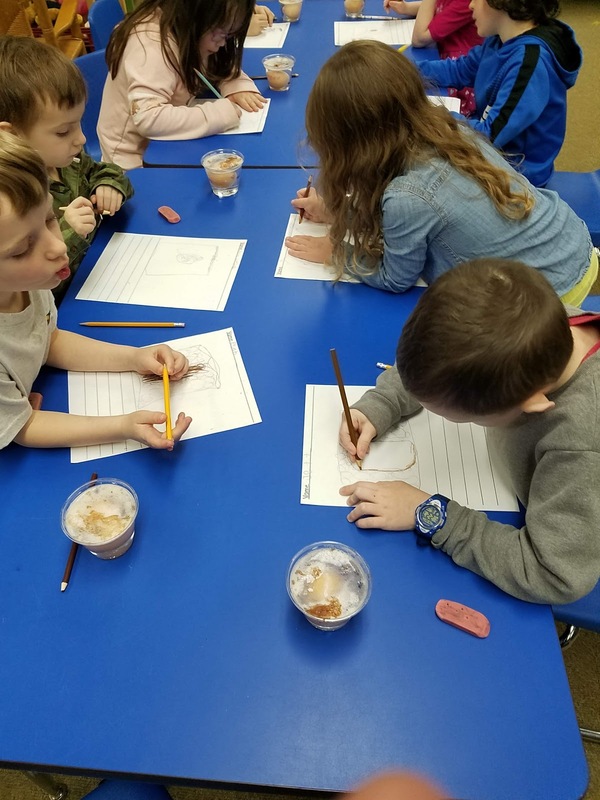 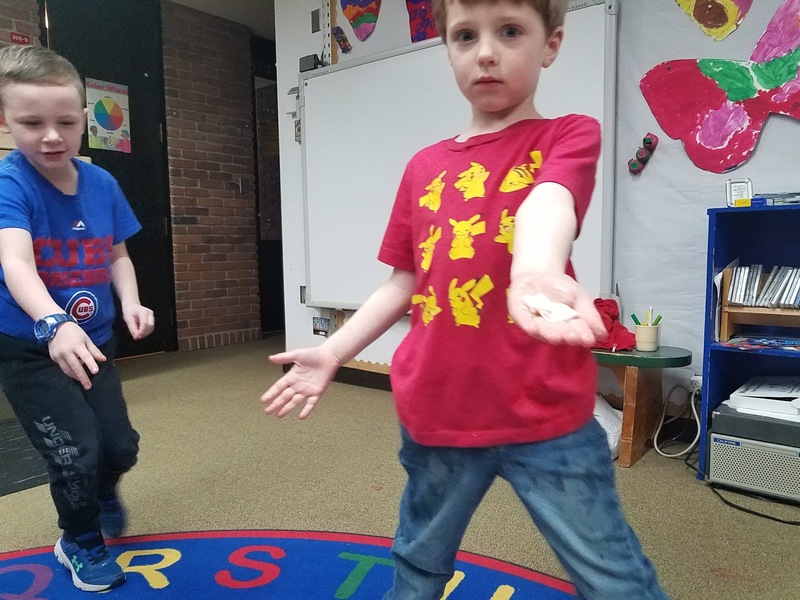 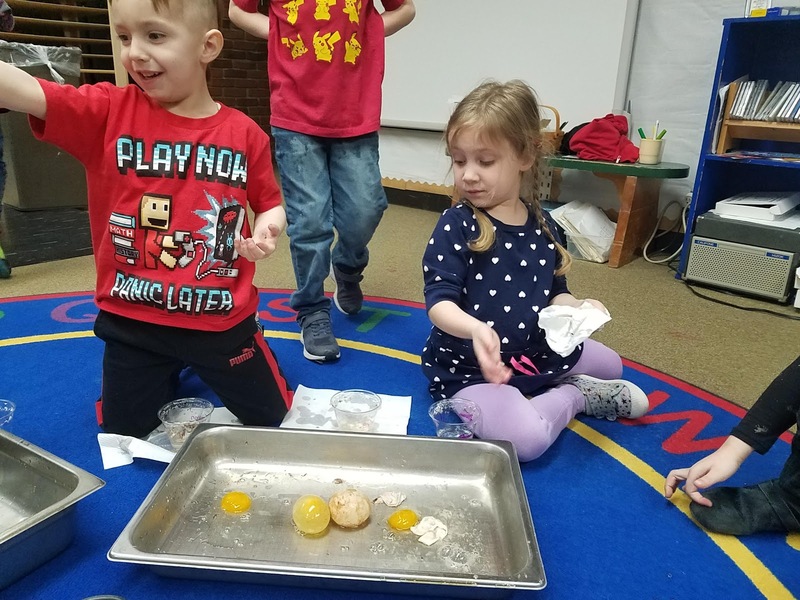 Looking Back At Our Experiment "Bouncing Eggs"
After putting our eggs in a cup of vinegar we observed what happened and a few days later documented the changes. 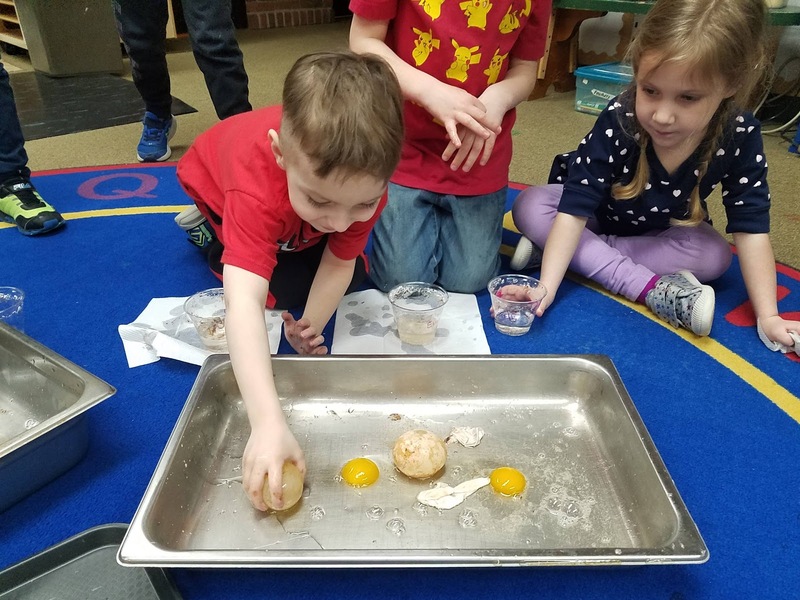 After 5 days we removed the eggs from the vinegar...we discovered that the shells appeared to be quite rubbery and the eggs themselves were larger. 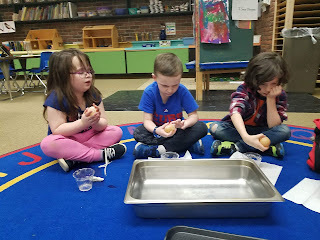 We were excited to see if they would really bounce. 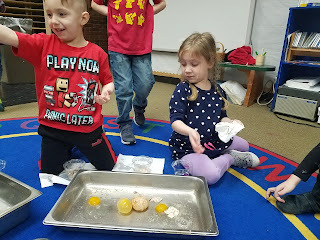 Some bounced some broke open. 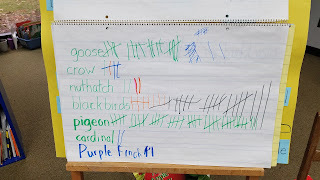 We are also still tallying up the birds that the kids have been spotting.